I have written a PHP web application that uses popen() to fork a PHP CLI script that does some async background processing. My problem is that I do not find a way to debug the CLI script in the context of the web application. I have set the project run mode to "3rd Party Webserver" (using Apache on Win), but for the CLI script I would probably need the PHP CLI setting. But this would not allow me to use and debug the web based part of my system. I cannot call the CLI script on its own as it receives complex pipe input from the web part. I also tried to use DebugBreak() within my CLI script, but it won't fire up the debugger. Is there a solution for this mixed environment situation? DebugBreak will certainly fire up the debugger. What you need is to point out where the debugger is. For example if you run php on one machine while IDE (with debugger) is on another - how would they find each other? This is what DebugBreak() argument (the debugger request) is for. Please read FAQ for further details on syntax of the debugger requests. thanks for pointing me into the right direction. Using DebugBreak() with a debug session parameter works! Although it did not work for me using "1@localhost". I had to explicitly use "1@127.0.0.1". Could this be the result of my Win 7 machine using IPv6 in our internal network? 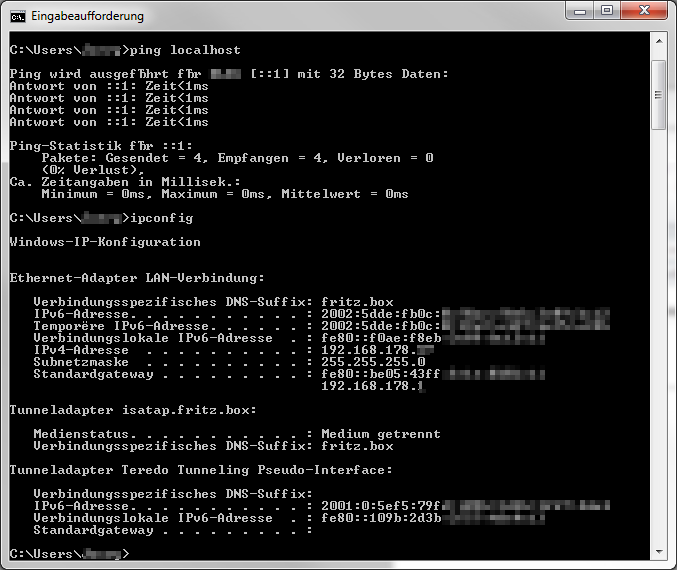 If I ping localhost it resolves to ::1:, not to 127.0.0.1. DebugBreak("1@::1:"); does not work either. Sorry Dmitri, I tested again and of your three options only "1@127.0.0.1" works. I am using the latest PhpED (6.2 build 6233) and debugger (4.2.11 VC9 Threadsafe). Don't be sorry, but check you machine. If [::1] doesn't work for you, it means that ipv6 is not installed or not routed through ipv4. as of remaining DebugBreak('1@[::1]'), it is supposed to work fine too and in fact works fine in my case. If it does not work for you, check debugger version. Anything older than 4.2.11 should be updated to this version (which is the latest at the moment) .